Day 2 Flight Pokhara- Jomsom (2743 m), trek to Kagbeni (2810 m) 3 hrs. Possible roundtrip day trek from Kagbeni to Muktinath (3720 m) and back (6 hrs). Day 7 Lo Manthang (3800 m). Rest day and explore heritage sites. Two night’s stay at hotel (As above) in Pokhara on twin / double room sharing basis with bed, breakfast and all applicable taxes. 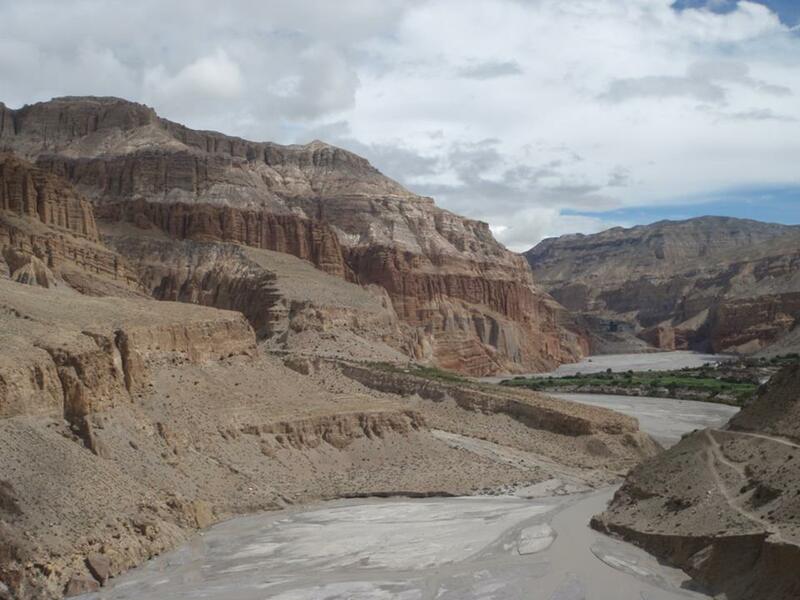 09 nights /10 Days “The Upper Mustang Trek” inclusive of all meals (breakfast, lunch and dinner), accommodation in best available Teahouses/Trekkers Lodges, services of trained, trusted and highly experience trek Guides & assistants including a team of strong and reliable porters.